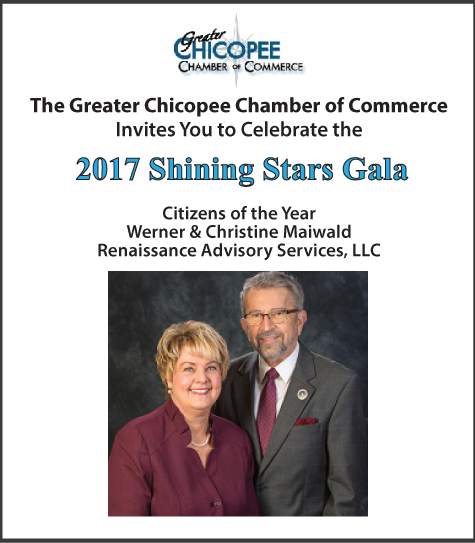 The Greater Chicopee Chamber of Commerce's annual “Shining Stars Gala” will once again recognize members and business owners who are leaders in their communities for their business acumen, volunteerism, and philanthropic work. The "Shining Stars Gala" will be held on March 3rd, at the Castle of Knights in Chicopee. The evening's salutes will go to Werner and Christine Maiwald of Renaissance Advisory Services, LLC, Citizens of the Year; Polish National Credit Union, Business of the Year; Michael Epaul of Michael Epaul Photography, Volunteer of the Year; and Holyoke Medical Center, Non-profit of the Year. This year, there will be a “Special Tribute” to William J. Wagner of Westfield Bank for his many years of service supporting the chamber, local businesses, and the community. Ludlow, MA – Local financial advisor Werner Maiwald, CFS of Renaissance Advisory Services, LLC, today announced he has become a member of the Financial Services Institute (FSI) in Washington, D.C. FSI advocates for Main Street Americans' access to objective, affordable financial advice, delivered by a growing network of over 37,000 independent financial advisor members. About the Financial Services Institute (FSI): The Financial Services Institute (FSI) is the only organization advocating solely on behalf of independent financial consultants and independent financial services firms. Since 2004, through advocacy, education and public awareness, FSI has successfully promoted a more responsible regulatory environment for 37,000 independent financial advisors, and 100 independent financial services firms who represent roughly 160,000 affiliated financial advisors. We effect change through involvement in constructive engagement in the regulatory and legislative processes, working to create a healthier regulatory environment for our members so they can provide affordable, objective advice to hard-working Main Street Americans. For more information, please visit financialservices.org. Werner Maiwald, Financial Consultant of Renaissance Advisory Services LLC, and Financial Services Professional of The Gaudreau Group, Inc. on Boston Road in Wilbraham has once again achieved membership in the prestigious Million Dollar Round Table (MDRT), The Premier Association of Financial Service Professionals. Per the MDRT association, less than one percent of the world's life insurance and financial services professionals achieve this distinction. Maiwald, a qualifying member has 34 years experience in the Financial Services profession. He holds numerous securities registrations including Series 6, 63, 65, and 7, is a member of the National Association of Insurance and Financial Advisors and holds the Certified Fund Specialist designation. He is also a member of The Galaxy Community Council, liaison group to Westover Air Reserve Base in Chicopee, MA. Originally from Germany, Maiwald has lived for many years in Western Massachusetts with his family. He is a graduate of Agawam High School and served in the Armed Forces as an Air traffic Controller for 3 years. Renaissance Advisory Services LLC is a nonaffiliated independent financial consulting firm specializing in Wealth Management, Portfolio Strategies, Retirement Planning, Corporate Pension Planning, and Distribution Planning Services. Werner Maiwald of the Renaissance Advisory Services, in Wilbraham, recently achieved membership in the Million Dollar Round Table (MDRT), an association of financial service professionals. Per the MDRT, less than 1 percent of the world's life insurance and financial services professionals are said to become members of the association. 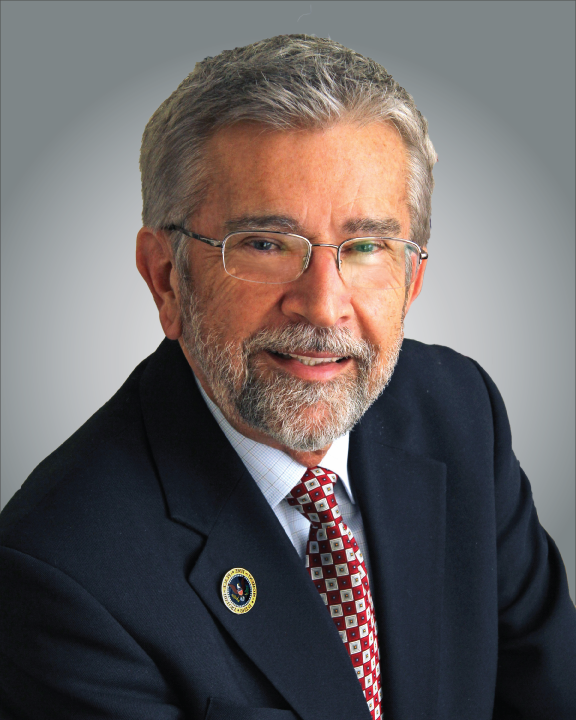 Maiwald also earned recognition from the American Association for Long-Term Care Insurance for the work he has done on the national and state level in helping to meet his clients' needs.